Community First Credit Union is pleased to provide access to two scholarship opportunities Learn more about these two scholarships below. The deadline to apply for scholarships has passed. For more information on judging and winners, please visit the sponsors below. 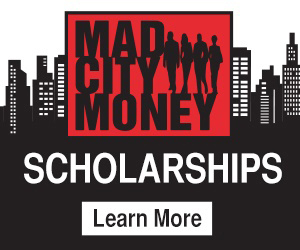 Grab your friends and classmates and Join Northeast Ohio Credit Unions for the 2018 Mad City Money Competition! You and your team will compete in a virtual Game of Life with an opportunity to win a Grand Prize of a $1,500 scholarship for EACH of your team members! Second Place team wins $1,000 Scholarships each! Third Place team wins $500 each! Deadline for registration was April 14, 2018. Direct questions to one of the participating credit unions listed below or support@madcityneo.com. The Ohio Credit Union Foundation is offering Ohio undergraduate credit union members the opportunity to apply for a $5,000 video-based scholarship. Deadline for application was April 30, 2018. See complete information on the Ohio Credit Union Foundation website.